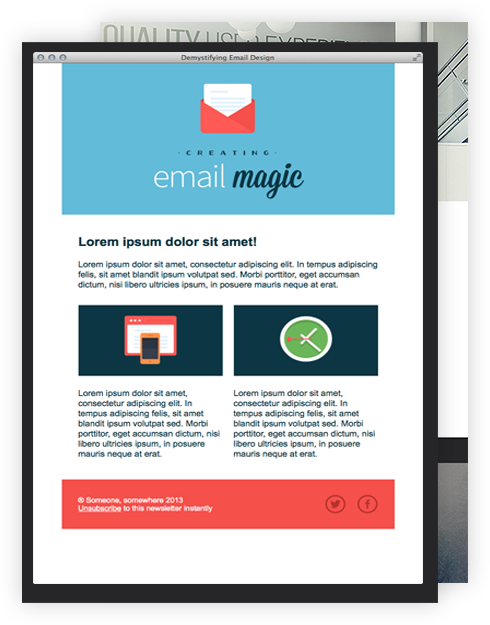 Email marketing is a low-cost, high-return engagement tool that appeals to businesses. It’s a proven medium that allows you to maintain and grow relationships within a group of consumers who have already shown an interest in your business. It is growing 20% year on year with recent research suggesting that it is 40 times more effective at acquiring new customers than Facebook and Twitter. Mark Design Website can put in place a strategy that helps you to fully utilise this medium; giving you the tools to send stunning campaigns and measure their success.